LONDON – Chancellor Philip Hammond delivered a pared-down spring statement on Tuesday which said the UK economy is faring better than predicted. The statement used to act as a “mini-budget,” but Hammond has broken with tradition and pledged to deliver only one budget a year, in the Autumn. 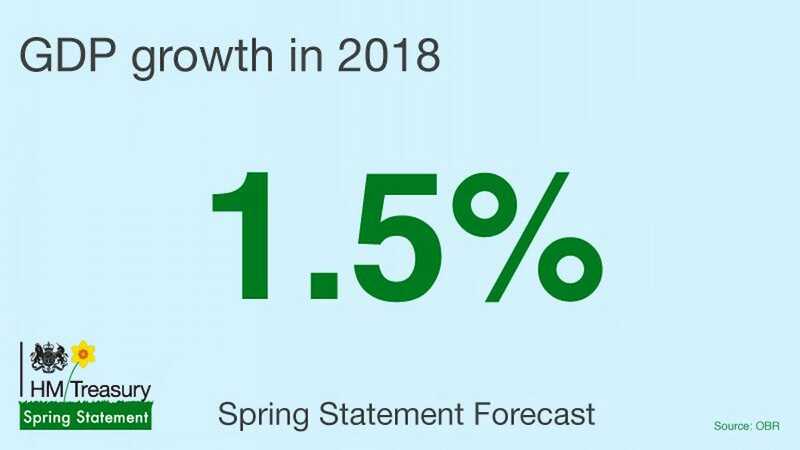 Instead, Hammond unveiled the latest economic forecasts from the Office for Budget Responsibility which show how the UK economy is performing. He also said the government was considering new taxes on single-use plastic and on the profits of tech giants like Facebook and Google. 1. Hammond’s nickname in Cabinet is Eeyore, but he said he was “Tigger-ish” about new and improved growth figures. The UK economy is set to grow faster than expected next year — the OBR’s forecast GDP growth for 2018 has picked up from 1.4% to 1.5%. 2. Less Tigger-ish are growth figures Hammond didn’t mention. 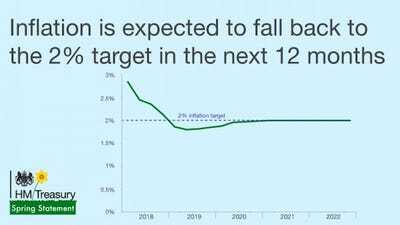 The OBR has revised down forecast growth for 2021, when Britain is expected to have left the EU. 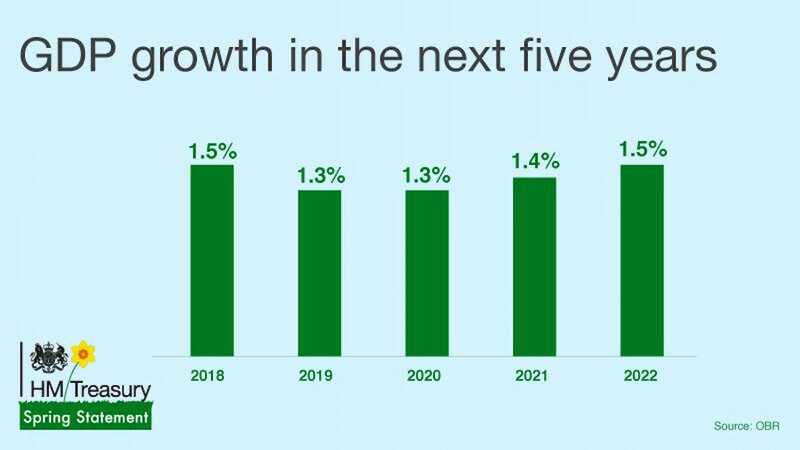 Growth for that year is forecast at 1.4%, 0.1% lower than forecast in November last year. 3. 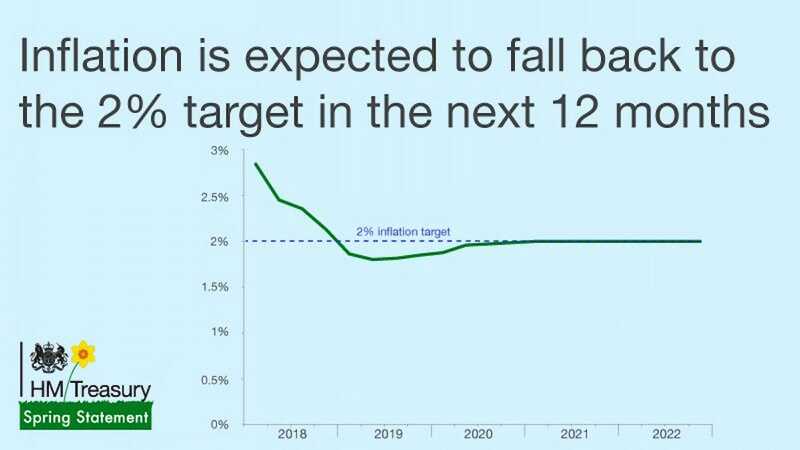 The OBR forecasts inflation to come back to its target 2% in 2017. Inflation currently sits at 3%. That means real wage growth is forecast to be positive from the first quarter of 2018. 4. Borrowing is forecast to be £45.2 billion this year — £4.7 lower than forecast in November. Employment is set to tick up too. 5. The Budget deficit has been eliminated. This means that — for the first time since the 2008 financial crisis — tax receipts are covering day-to-day spending. By 2018-19, forecast day-to-day spending will be in surplus. 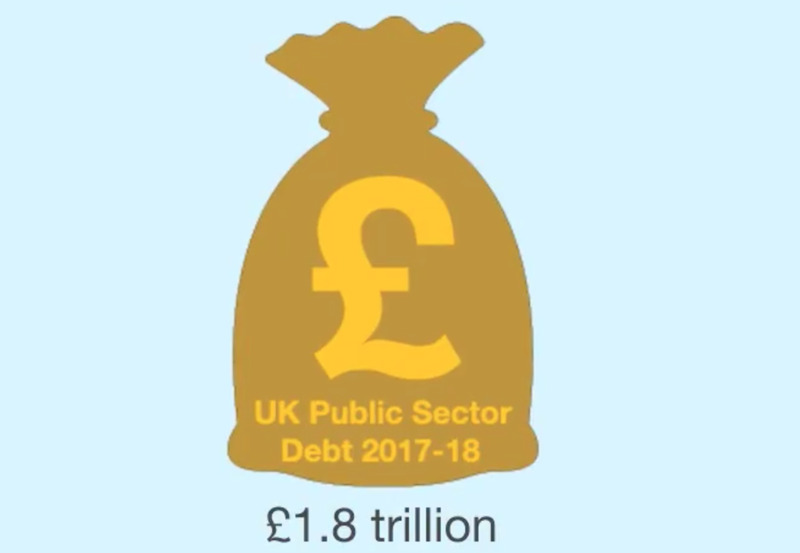 Debt is expected to peak this year at 85.6% of GDP then fall to 77.9% in 2022-23. It remains high, however, at £1.8 trillion.